Fruit Ninja, for those uninitiated, is one of those oh-so simple yet extremely addictive games which involves using your finger to slice an assortment of flying fruit whilst meticulously avoiding the game-ending bombs. Despite being an extremely easy to play title for the casual gamer, one wouldn’t have suspected a feline could play it – and certainly not with the apparent mastery of one particular cat, belonging to YouTuber Marcztr. With most of the human race completely addicted to gaming (see Call Of Duty: Modern Warfare 3 hysteria), it seems our treasured pets are also drunk off the flashing lights, vectors and colors. This isn’t the first occurrence of such behavior, either; dogs, kittens and even bearded dragons have been building up quite a reputation across the gamersphere. Who knows, as evolution progresses, our cute little friends may end up as gaming-addicted shells of their former selves – much like their owners. Despite being a rather amusing spectacle, it does make the techie inside us somewhat tense to see a cat, renowned for its sharp inventory of claws, frantically scratching the life from the world’s most coveted tablet. Much like the incident of the iPad 2 meeting volcanic lava and melting into dust, we’re just glad it doesn’t belong to us. The cat, on the other hand, with a score of 128, makes a worthy companion to any avid iOS gamer. Personally, I’d go up against this cat just for some kicks. Will I win? Can’t say right now after seeing this cat’s paw-full skills. You can download Fruit Ninja HD from the App Store for $2.99, which is an absolute steal as it’s – without doubt – one of those that you’ll never be able to put down; and if you’ve a moggy looking for a decent bit of gaming to see out the remainder of the festive period, why not try the Puss In Boots Edition? 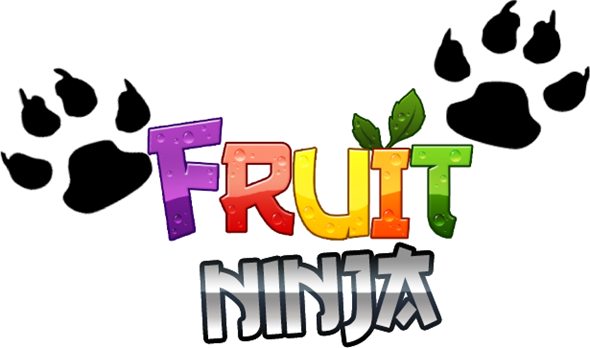 Every iteration of Fruit Ninja is just great, we highly recommend that you give at least one a shot!